Read the announcements below to see the cool and fun things which Pack 44 will be doing in the coming weeks. This event is held by the Delaware Valley Orienteering Association for participants of all ages. Are you ready to test your map reading and problem solving abilities? Orienteering is a cross-country map and compass adventure designed to test map reading ability, compass skills, fitness and outdoor savvy of any unit regardless of size or experience. Cub Scout Orienteering Event runs on Saturday, May 4th from 9:00 - 4:00 at French Creek State Park. Cost is $8 per participant. Parents and siblings are welcome to attend. If you are not doing the course you do not need to pay. SIGN UPS ARE DUE BY FRIDAY APRIL 5. Orienteering is the skill of using a map and compass to find your way to a destination or through a course. The Delaware Valley Orienteering Association sponsors an annual orienteering competition for scouts in the Mid Atlantic region. As a cub scout group we will be learning the basics of orienteering and trying out our teamwork and skills to find our way through a course. 2018 Family Camp and Breakfast Hike - "911 Rescue"
The Horse-Shoe Trail District will once again be hosting a Cub Scout Family Camp and Breakfast Hike. The theme for this year’s event will be “911 Rescue”. This is an excellent way for scouts of all ages to learn the basics of First Aid and CPR and learn that they too can save someone's life. Scouts and the families will have great time participating in activities on 3 different trails. There will be stations about emergency services, first aid and disability awareness. In addition, BB and Archery are available and reserved for Youth age 6 and up. 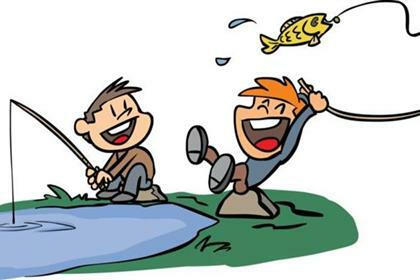 The Pack 44 annual Fishing Derby will be Saturday April 28th, 8:30 a.m. until noon!! We will be fishing Lititz Run along 772 in the Riparian Park near the LEFC church. Lititz Sportsmen will be stocking the stream with trout starting promptly at 9:00am. The boys are expected to help with the stocking. For more information, please click on the information flyer and sign-up form located under "Scheduled Activities". Join Pack 44 as we head to the Valley Forge Military Academy for the longest, continuous running scout event in the world... The Valley Forge Pilgrimage! See attached flyer for more information. Pack 44 will meet at St. Pauls UCC lower parking lot at 7:30 am on Saturday March 10, 2018, and depart no later than 8:00 am to head to Valley Forge. The event runs from 10:00 AM to 2:00 PM. Please pack your own lunch as well as snacks and water. Halloween ParadeJoin Pack 44 as we participate in the 2017 Lititz Halloween Parade! October Breakfast Hike at Camp Mack. Click here for Pack 44 Specifics and sign-up form. You can earn this cool patch! Locate a site suitable for viewing either the total eclipse or the partial eclipse. Describe how to safely view the eclipse. Discuss with your group what you saw and felt during the eclipse. If you can, post your comments and eclipse photos on social media with the hashtag #BSAEclipse2017. Cub Scouts—Discuss what a solar eclipse is with your leaders.